Toast bread. Spread almond butter on slices of toasted bread. 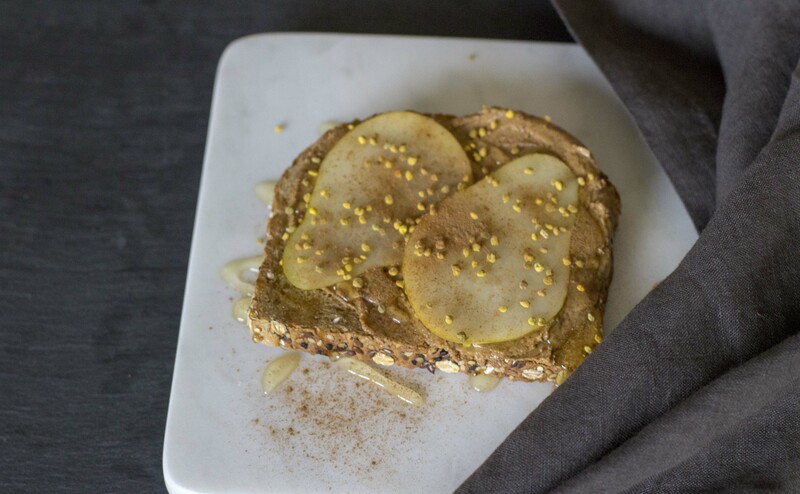 Place pear slices on toast, drizzle with honey, and sprinkle with bee pollen and cinnamon. Other optional toppings: shredded coconut, chopped pecans, pepitas, whole or ground flax seed, sunflower seeds.